The Memphis Tigers come to the Lone Star State for a Friday night AAC matchup with the Houston Cougars. Both teams had very divergent experiences last Saturday. Memphis moved to 5-1 with a win over an unbeaten and ranked Navy team, 30-27. The win gives them a gust of energy heading into the second half of the season. They now look for another good win, this time on the road against the Houston Cougars. On Saturday, the Cougars were 13.5-point favorites over Tulsa and went on to lose, 45-17. The loss was a bad blow to the team and dropped them to 4-2 on the season. Memphis was able to become the first team to beat Navy on Saturday on the strength of QB Riley Ferguson's three touchdown passes, in addition to the defense helping secure five turnovers. That's making a long story short, but both sides of the ball were a big part of the win on Saturday. After starting the season at 3-0, including a win over UCLA, the Tigers fell in a tough road spot to Central Florida. After putting up 70 against Connecticut the previous week, they scored the big win over the Midshipmen on Saturday. This is a team that averages over 40 points a game and while the defense hasn't been that stout this season, they showed on Saturday that they can come up with the big plays to tilt things in their favor. The Memphis offense has to feel pretty good after beating their second ranked opponent of the season on Saturday. QB Riley Ferguson threw for 279 yards and three touchdowns. The senior now has 19 touchdown passes on the season and is a big part of the Tigers' offensive success over the past two seasons. Memphis was able to run the ball with some success, with Darrell Henderson running for 94 yards on just 13 carries. He also caught a TD pass from Ferguson. Top Memphis receiver Anthony Miller caught ten balls, with two of them being for touchdowns. Also contributing were Tony Pollard, Sean Dykes, and Phil Mayhue. And for the most part, the line kept defenders off Ferguson and helped spring the run game. The Memphis defense has some issues. And those issues could manifest against offenses like the one Houston brings to the table. With Navy so run-heavy, the deficiencies were somewhat camouflaged and they might not be this week. This defense doesn't need to be great with the offense they have. But if Memphis wants big things to happen this season, this side of the ball is likely the tipping point. They made some things happen on Saturday. Linebacker Austin Hall picked off two balls, including a big one late as Navy attempted to mount a scoring drive. Memphis was able to turn the turnovers into 13 points. Also in the middle, Genard Avery was active on the day, as was running-mate Curtis Akins. The 27 points they allowed to Navy was actually their season-low. Houston had started the season 2-0 and was looking pretty good until cooled by a three-point loss to Texas Tech. Two straight wins followed and the matchup with Tulsa looked routine enough, as evidenced by them being nearly two-touchdown favorites. To lose is one thing, but to get smoked by 28 points to a one-win Tulsa team is a deflating midseason development for this Cougars bunch. Three turnovers by the offense was a big part of the letdown, while the defense gave up 416 yards of total offense, including nearly 300 on the ground. Houston quarterback Kyle Postma has been decent in spots, but 5 picks over the past three games has been bad and he now has more interceptions than touchdowns this season. Still, Postma, when hot, can be pretty accurate and move the ball. Duke Catalon and Dillon Birden are a good 1-2 punch at running back, with the two having combined for 8 scores on the season. Through the air, Steven Dunbar and Linell Bonner are the top dogs, joined by D'Eriq King. But compared to the offense that was commandeered by Greg Ward, Jr., it's not quite as effervescent of a group. The Houston defense is not a terribly impressive group thus far in the season. Still, the amount of offense yielded to Tulsa was atypical, as the Cougars have been more-respectable than that for most of the season, with their previous high-allowance having been 27 points. They had given up 81 points in the previous five games, albeit against some so-so offenses. Nick Thurman and Ed Oliver were getting after the QB some on Saturday, with corner Jeremy Winchester notching his first pick of the season. Senior linebacker D'Juan Hines was very active, but all in all, it was a bad performance by the defense, with the offense not really helping the cause with the turnovers. Memphis looks to get on a nice roll now after the big win over Navy. But going to Houston is not an easy road spot. Last season, when these teams met in Memphis, Tyler Ferguson went over 400 yards and threw 4 touchdowns, hitting Anthony Miller late in a thrilling 48-44 win. I see Houston being less of a challenge this season, though they should put up points against a dicey Memphis road-defense. I still see Memphis coming up with the right answers late and I'll take the points. 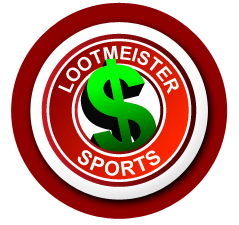 Loot's Prediction to Cover the Point Spread: I'm betting on the Memphis Tigers plus 3 points.Tired of your credit card not working for sportsbook deposit? End that problem today and bet the Tigers vs. Cougars game from home by signing up at Bovada Sportsbook where your credit card WILL work and where you'll receive a generous 50% sign-up bonus!